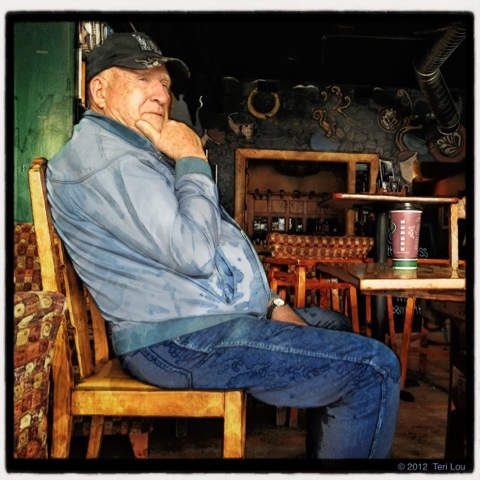 The Morning Coffee Club regularly meets at Pioneer Coffee in Cle Elum. It is an informal group where all community members are welcome. Many mornings I have watched and listened to various conversations. Today the topic was car insurance and if you should have full coverage on vehicles that are barely driven. From what I gathered most believe it is always necessary to protect your collectibles to the fullest regardless of the age or amount of rust. Very nice picture, I have a question though, I have ArtistaHaiku which I find interesting but never use much. Would you please explain why and how you used it on this pictures.